It’s hard to believe it, but the 2010-2011 domestic cyclocross season kicks off this weekend with a UCI event in Breinigsville, Pennsylvania. All hands will be on deck as some of the best in the country line-up for their first taste of ‘cross this year—and their first shot at valuable UCI points. Here’s a breakdown of just some of the riders we can expect to make a mark their mark on “home” soil this year. You best become familiar with their names now, because several of these guys will be in action this weekend. The last time we saw Johnson on American soil he was wrapping up a stellar season with another National Championship. Indeed, Johnson and his team dominated the US scene with ease—but that was last year. This year, Johnson has an even bigger target on his back with the Stars and Stripes. A mid-season injury ruined his road campaign, but the time off might leave him fresher for cross. For Johnson, that’s great news; for the competition, it’s the last thing they need. Ryan Trebon had some great results last year including a silver medal at Nationals and a USGP overall title. However, it seemed as if whenever Tim Johnson showed-up, Trebon was destined to finish second. Trebon’s season will be determined by his ability to overcome the Cyclocrossworld trio of Johnson, Jeremy Powers and Jamey Driscoll. That said, Nationals are once again in Trebon’s backyard—will the home field motivate or increase the pressure on the Oregon native? Every player has a wingman, right? If you’re talking about Tim Johnson, that man’s name is Jeremy Powers. How many times did we see Powers attack early only to have Johnson bridge across and eventually attack for the win? That said, Powers’ steady improvement over the past few years sets him up for a phenomenal season—his terrific season on the road is another good sign. In the end, Powers might be the only rider able to go toe-to-toe with Johnson when it counts. If Powers finds success early, how long will he be content with playing second-fiddle? Jamey Driscoll might be the best US rider we never talk about. After tearing up the U23 ranks, Driscoll launched onto the Elite scene in 2008 with a second-place finish at Nationals. Last year he backed-up that result with some excellent riding that made him arguably the most consistent domestic cross racer. But while Driscoll proved that he belongs in the lead group last year, this year he needs to find a way to beat Johnson, Trebon, and Powers. Only then will people give him the credit he deserves. Last year, it seemed as if most people had written-off Todd Wells as ‘cross season headed into November. After all, with only a few weeks left until Nationals, Wells had few results to speak of. But that all changed around Thanksgiving, when Wells went on a tear that left him as a legitimate candidate for the National title—he ended-up fourth. If Wells wants to be considered one of the best this year, he needs consistent results and few big wins—before November. His mountain bike season has been impressive—can he continue his success into autumn? It feels like Danny Summerhill’s been around the US ‘cross scene forever. In fact, it’s hard to believe that he’s finally too old to race with the U23 men. His international experience—and success—proves he’s ready to compete with the best in the US. But while Summerhill has spent plenty of time racing with the Elite men, he has often failed to leave an impact on the outcome of the race. Perhaps this year we’ll see more of him at the front of the field. Last year Jones went from a roadie who raced ‘cross to a bona fide cyclocross contender. His head-turning performance has earned him a ride with a brand new cross team—Rapha-Focus. Jones is the team’s marquee rider, which should provide him with the support and equipment a top crosser needs. With more support—and the added pressure—is Jones destined for a big win? Last year, a quiet, unassuming young Swiss rider began showing-up at some local races in Pennsylvania and New Jersey. The next thing we knew, he was battling with the likes of Trebon, Driscoll, and Powers on his way to a Mid-Atlantic Cross Series title. This year, Valentin Scherz has a full US program on his plate including some of the fall’s bigger domestic races—beginning with CrossVegas. Get on the Swiss bandwagon now! Last year, Adam Craig didn’t really start racing cross until November. He went on to have some mild success before managing a seventh-place finish at Nationals. This year, Craig will return to a full cross schedule in the hopes of capturing a national championship. If he’s able to build upon last year’s success, Craig definitely has a chance to surprise people—he could easily become a regular podium contender. The two traditional US National race series return this year. Both offer excellent races and great prize money. The United States Grand Prix (USGP) keeps its format with four full weekends of racing for a total of eight races in the series overall. Geographically, there’s only one change: the Mercer, NJ round has been removed. Instead, riders will venture to Colorado for Rounds 5 and 6. The North American Cyclocross Trophy (NACT) has dialed it back a bit this year, staying in the USA for all eight rounds of its series while maintaining the same traditional stops in Washington, Colorado, Massachusetts and New York. Both series promise to attract the top riders in the US and should be the focus of many riders’ seasons. In addition to the USGP and the NACT, there are several local series featuring exciting and action-packed racing as well. The New England (NECCS) and Mid-Atlantic (MAC) series will continue to provide a launching pad for a new generation of superstars and a training field for many of the country’s best. As a result, these two regional series should be interesting to watch. Last but not least, CrossVegas has stepped it up a notch this year, offering—arguably—the best cyclocross field ever assembled in the US. The only downside is its early position (September 22) on the calendar—most riders won’t be in top form for the event. However, with the prestige and press that surrounds the event (thanks to Interbike), the sport’s biggest names will gamble all they have to take the win. All in all, it promises to be a great, albeit short, domestic cyclocross season. Will names like Johnson, Powers and Trebon continue to dominate the headlines? Or is a new superstar ready to emerge? 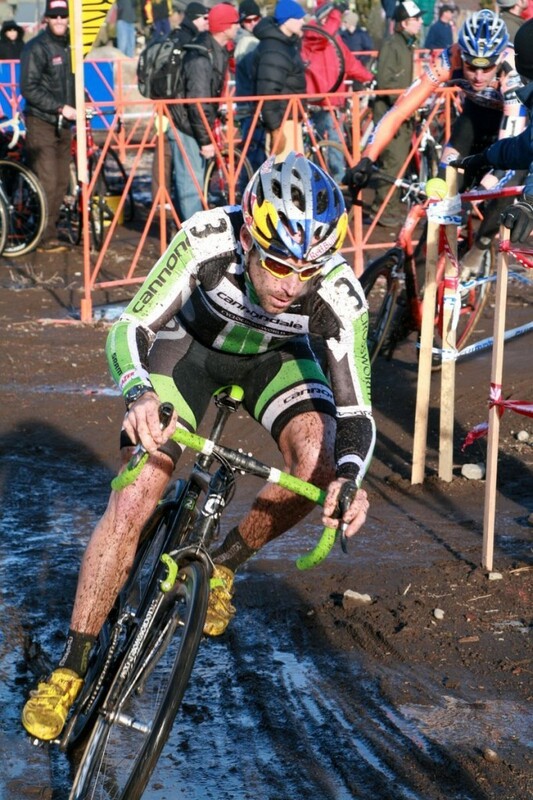 And come back later this week for a preview of the 2010-2011 International Cyclocross season. This entry was posted in Races and tagged Chris Jones, Craig, Cyclocross, D. Summerhill, domestic, jamey driscoll, jeremy powers, ryan trebon, tim johnson, todd wells, valentin scherz. Bookmark the permalink. The end (barring leg cramps). Podiumed in last year’s nationals, and skipped road season this year in favor of off-roading. The 2009 US Road Champion is publicly (check her website) psyched about Louisville Worlds in 2012, and is mixing up her riding accordingly. In her second year of CX, she took 2nd at 2009 Nationals. Has been having a ripping world-class MTB season after skipping the end of last year to rebuild. Watch out. The “winningest woman in racing”, this crit legend could step up her cross game a bit if she got more confident off-road. Another arrow in the Luna Chix quiver. It’s hard to believe cyclocross icon is a wildcard, but last year’s only wins came when the stars were absent. Back from maternity leave… and the rumor is, childbirth makes you stronger cuz nothing hurts as much. 18 years old and in love with cyclocross. This year, she has some junior worlds (road) experience under her belt. Thanks ML for offering your thoughts on a topic that’s been long overlooked here. If you like, we’d be happy to give you a regular piece, enabling you to continue the terrific commentary!